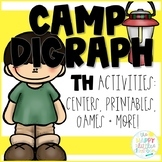 Digraphs- A Camping-themed /TH/ Activity Pack! Center and more! 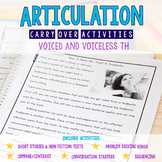 Here is a freebie from my Articulation Therapy for /th/ Resource. 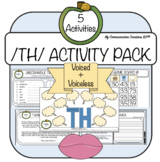 This activity focuses on /th/ in the medial position of words. 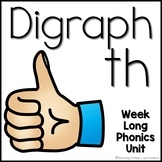 Digraphs: Word Lists, Posters, "Bang" Games, and More! ***Newly Updated 6/26/2015!!! 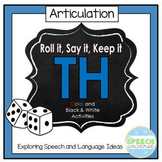 This product is included in a bundle for 20% savings: Roll it, Say it, Keep it: Articulation Bundle This activity focuses on articulation of TH. 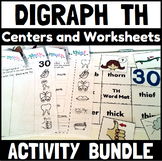 This activity uses dice, a game board, and cards. 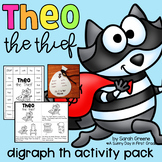 Students place the TH item cards on the game board and roll the dice. 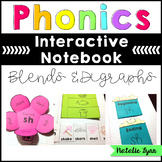 Phonics Activities Ch, Sh, & Th: Poems, Word Work, Games, Riddles, & More! 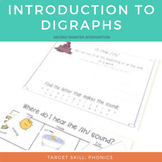 Make practicing digraphs fun ! 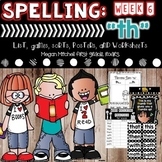 Practice ch, sh, and th with these activities: 4 word sorts 3 poems 3 pages full of riddles 2 whole class games Individual word work sheets Read it, Write it, Stamp it pages for centers 20 pages of activities!